This is the next entry in Best Album Covers, a series begun right here. 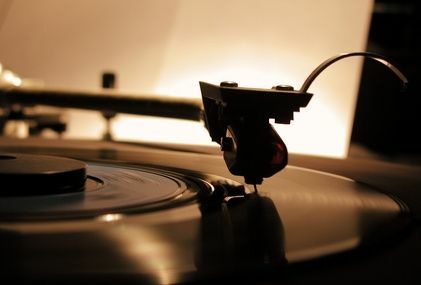 The first successful long-playing microgroove record for the phonograph was introduced by Columbia Records back in June of 1948. Yet, album covers (the paper board packaging that held them) didn’t come into their own graphically till decades later. Eventually, they became the cultural stamp on the music of the time. Catching the eyes of potential record-buyers and later melding the musical and audio experience with the artist into a distinct visual form. Hear the song, envision the album cover. Why Compact Disc versions of album art don’t exactly raise the same reaction these days was looked at in this post. Although, music label graphic artistry continues to be noticed and discussed among the material published today, even though it’s mostly in the realm of digital these days. It hasn’t lost purpose, for either old and new items. Perhaps, without the same vigor or tactile passion of the past says the former. The latter argues otherwise today. Hence the reason for this series. Some register more with me musically than others, though. Yet, the artwork will always take center stage, at least here. Let’s continue shall we? The Wachowski siblings would go on to use the Wake Up track from this album as a startling musical conclusion for The Matrix (1999). While I’m not too much into either style of music, I can see why fans connected with the group and were influenced by their music. What’s equally audacious though, was the unexpected and expressive use of journalist Malcolm Browne’s famed and notable photo from another time and place for the cover artwork. It’s one of those that has come to symbolize so much across different generations and people. No doubt, its use remains controversial to this day. I mean, the image of Thích Quảng Đức, a Vietnamese monk in 1963, protesting the oppression of Buddhists under President Diệm’s administration through self-immolation is not easy to fathom. A viscerally and politically effective act, to say the least. Similarly, the cover was ‘graphic’ artistry at its most in-your-face. Like it or not. I think its layout only accented the reaction the label and/or artists intended to achieve. That of railing against the system. Corporate or otherwise. And they did, in spades. Cover designers cropped Browne’s original photo by a substantial degree and stressed the figure and moment at its most grainy and ghastly. Capturing, as well, the flames as they so frequently are on film. Both mesmerizing and malefic. With the stark album title pasted along the bottom keeping it all in context. I can’t honestly say I love this cover, but I cannot forget or ignore it either. I pushed this album cover piece up from my list byway of reading The Economist’s recent look at Buddhism and self-immolation in their blog post, The theology of self-destruction. 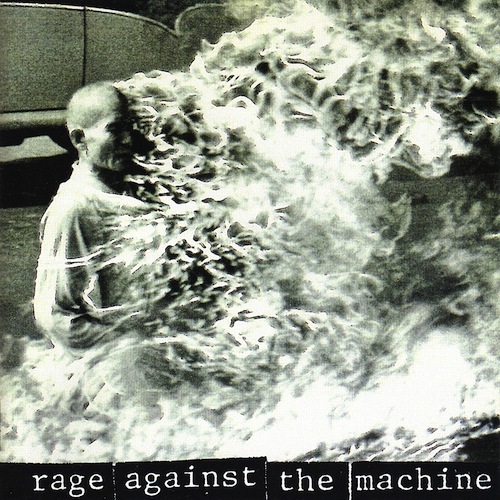 Rage Against The Machine has a great cover. Nice post. Thanks very much, ckckred. Glad you enjoyed it. Great cover, great album! Nice write up Michael. Very kind, TM. Thank you, my friend. I’ve never listened to the album, but I’ve always thought that this was a good cover. It definitely gets my attention. Yeah, it certainly grabs your attention. Many thanks, Garrett :-). Keen comment, Fogs. Thanks for adding to this. Yup. Now I’m listening to Rage. LOL Thanks Le0p! I knew someone would tee up a song or two in reaction ;-). A great cover and a band who I have been listening too since middle school, in fact I think I have a middle school photo of me wearing the shirt. That’s great! Post the photo. I’d love to see it. Thanks, mummbles. Very kind and generous, Mike. I appreciate it, my friend. Thank you. I can’t even tell you how often I used to listen to this album. A real modern classic, and the cover is startlingly effective. Great writeup on this one, Michael! It’s not surprising this album retains quite a following. Thank you very much, Eric. Thanks so much for joining in on this, jelliclezombi. Welcome :-). And this is one startling album. I would like to know if the cover is a picture of a real man on fire? Also, id like to know why the man is on fire, and did he do this to himself? Yes, it is. I’ve updated the link that details this political act. Oh OK I just read the article! Tee Hehehe somebody say! OK brain in your britches.